A media center that’s just right for the kids play room. raised panel doors 18″ off the floor, TV stand, & Vintage molding. 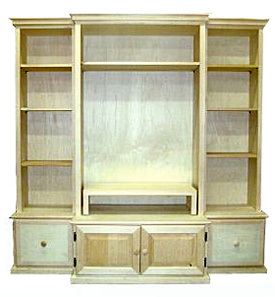 As with all our entertainment furniture, this piece is available unfinished or with custom finishing with a wide variety of door, drawer, and trim options.